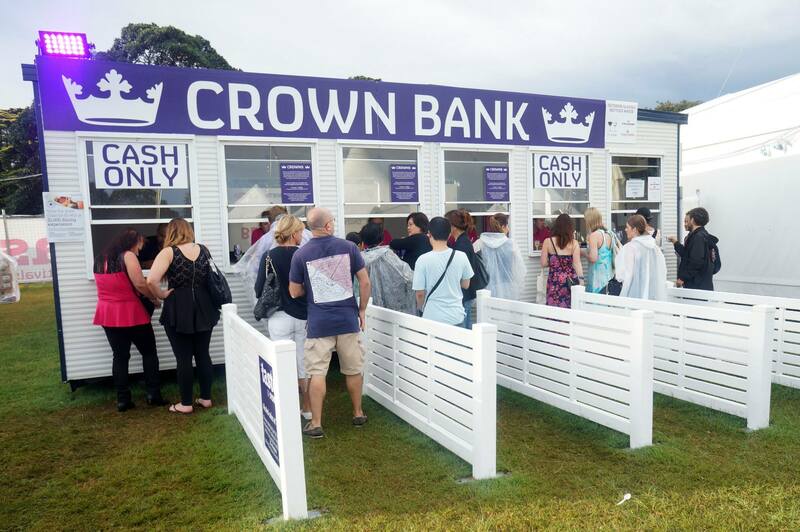 We won some free tickets from Vivian at When the world stops spinning so we brought two friends along and embarked on our night of constant eating at the Crown Bank where you top up cash cards for use at the event, we noticed that Taste of Sydney seems to be getting more popular this year with a huge crowd even though it was absolutely bucketing down a few minutes prior to that photo being taken. Since we visited so many restaurant stands this year between the four of us I decided to just stick to a few dishes and highlight the ones I enjoyed most. The first stop on our clockwise journey around all the stands was Aki’s Indian – the only chefs hat awarded Indian restaurant in Sydney where we tasted the awesome tandoori chicken dish (very very tender), the sauce was an awesome mixture of lime and chilli which leaves a tangy but also spicy taste in your mouth which is actually really quite pleasant. The spiciness from the Aki’s chicken dish meant that we were desperately looking for some drinks, luckily we spotted the Rekorderlig stand nearby. 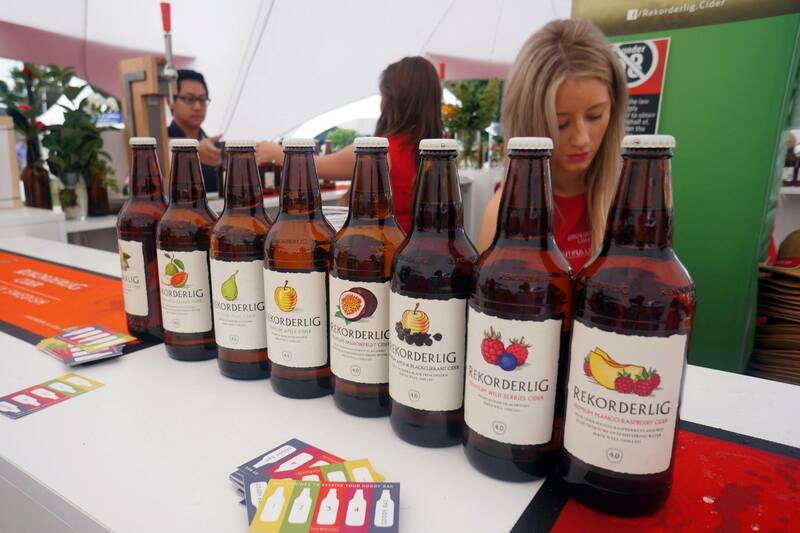 It’s a tradition for us to grab a Rekordelig cider at every food event or festival that we see them simply because of how refreshing it is and the great range of different flavours. 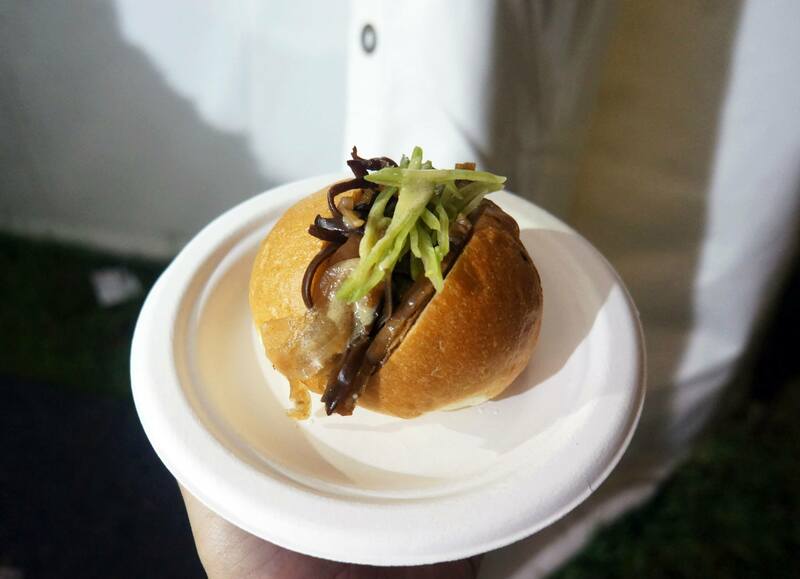 This dish was probably one of my absolutely favourites from the event, I’d always wanted to visit Bloodwood in Newtown because of all the talk from my friends who have been. The fried chicken seems to be a popular staple on their restaurant menu and I just had to try it when I saw it. The chicken itself was extremely juicy inside but the best part was easily the batter which is incredibly crispy and flavoursome. I have to admit when I got to the popular Turkish restaurant Efendy and saw people trying this I was a little disappointed because of the serving size which was comparatively tiny to the other dishes available. 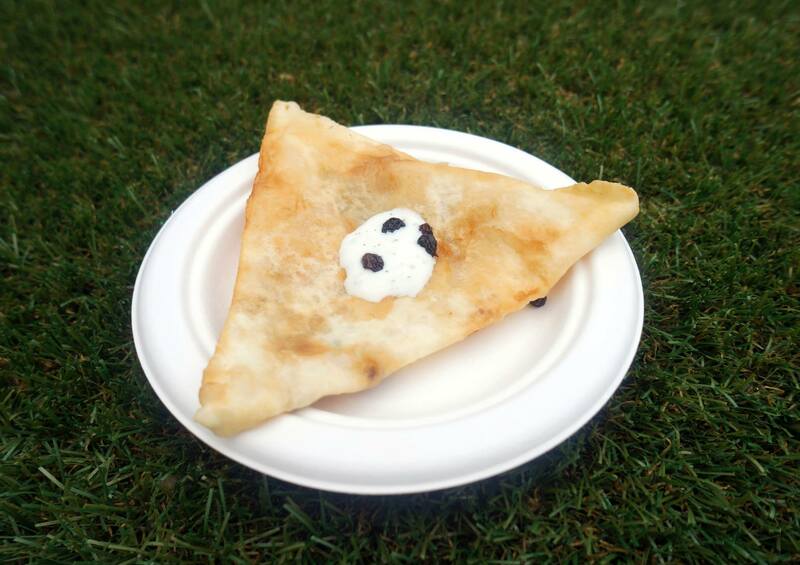 I still decided to order it because I was intent on trying it and found the gozleme itself was pretty crispy and the taste and filling did make up for the serving size with a great duck and cheese mix that was very tasty. 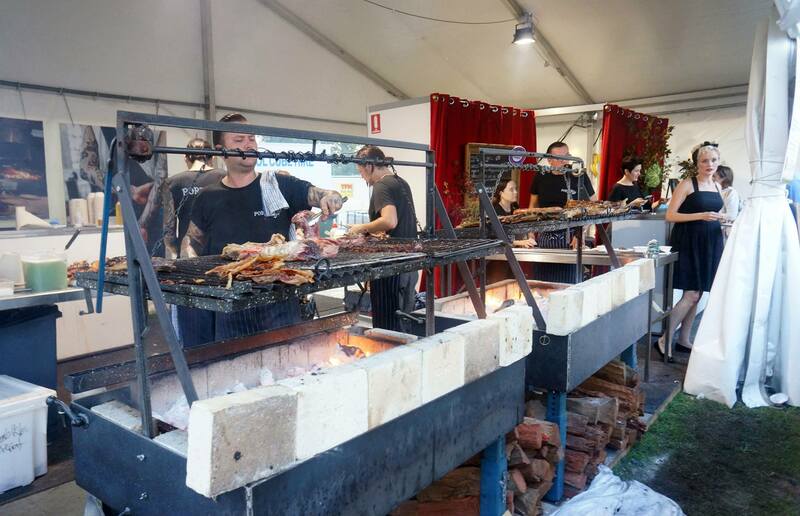 The infamous Argentinean restaurant Porteno is once again the clear peoples choice of the event with a dedicated queue area and a crowd that made up a fair chunk of the total crowd. 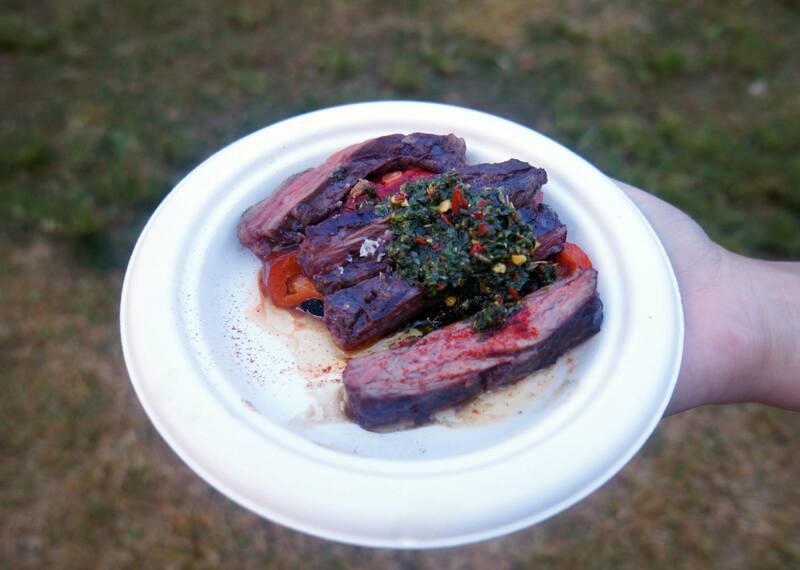 This year they were offering the ever popular chorizo and wagyu dishes along with some lamb but the obvious winner was the wagyu skirt steak which nearly everyone I observed was ordering. The dish itself is basically slices of divine wagyu beef cooked medium rare on the charcoal barbecue and topped with peppers as well as chimmichurri sauce, I fell in love with it before even tasting it because of that perfect amalgamation of ingredients. 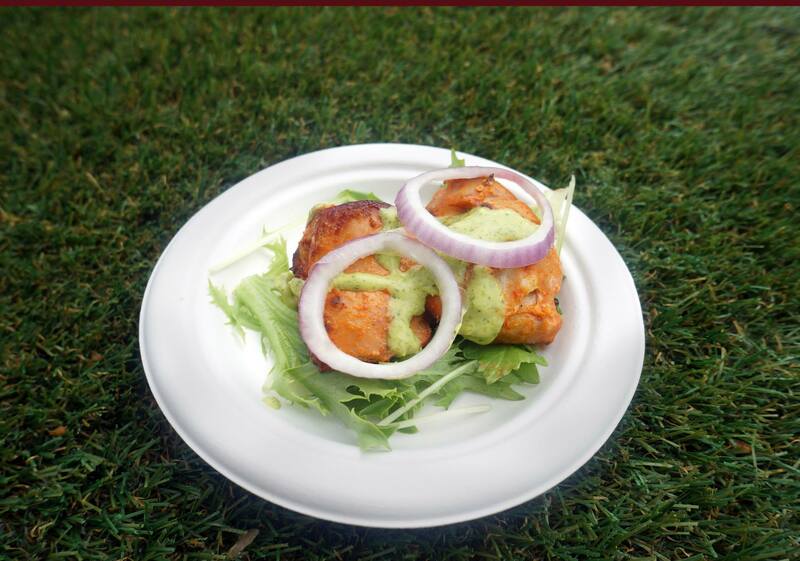 Special shout out to British India Trading Co who competed in IconPark season one and have some really awesome and interesting dishes. 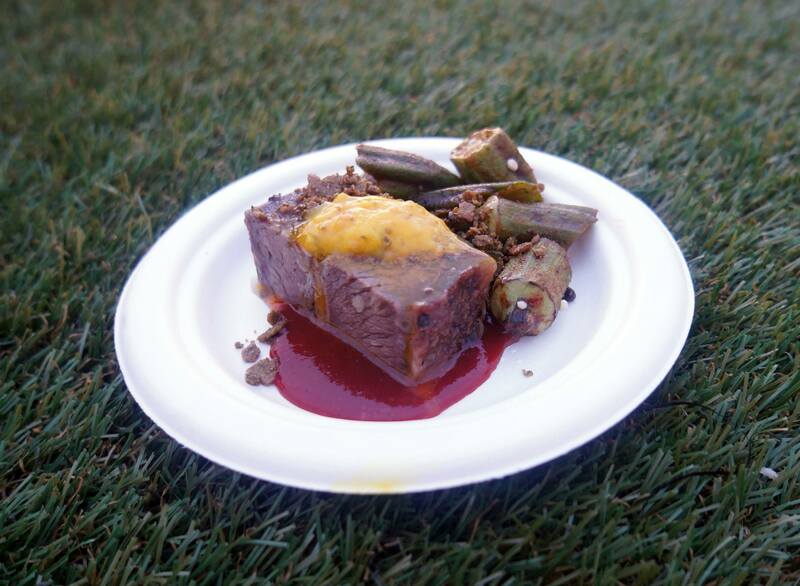 We purchased a ticket to taste the highlight dish which was beef short rib and okra served with cardamon and ginger spices, the shortrib itself was very tender and flavoursome with subtle hints of spice which gave it a very unique taste compared to anything else we had tried. With the night coming to a close and all of us running fairly low on crowns to spend we decided to sit down and look at what else we might try before heading home to sleep off the food. Since we hadn’t tried anything particularly ‘Asian’ the whole night we decided to grab a veal roll from Chow Bar and Eating House despite being full and almost bursting out of our waistlines, this turned out to be quite a good decision as the mushroom and beef went together quite well and thankfully the mustard wasn’t hot as we expected. 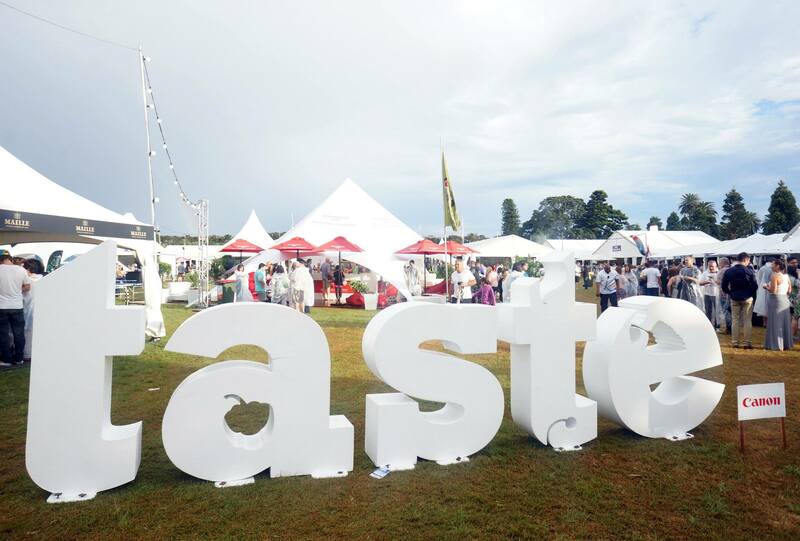 And that wraps up our post on Taste of Sydney 2014 – we’re definitely looking forward to another visit next year and are excited to see what new dishes and restaurants will be present! i heard the skirt steak was a winner! shame i missed out on this once again! Man, if you think two months is late….try two years for me…I’ll probably never get to those posts! 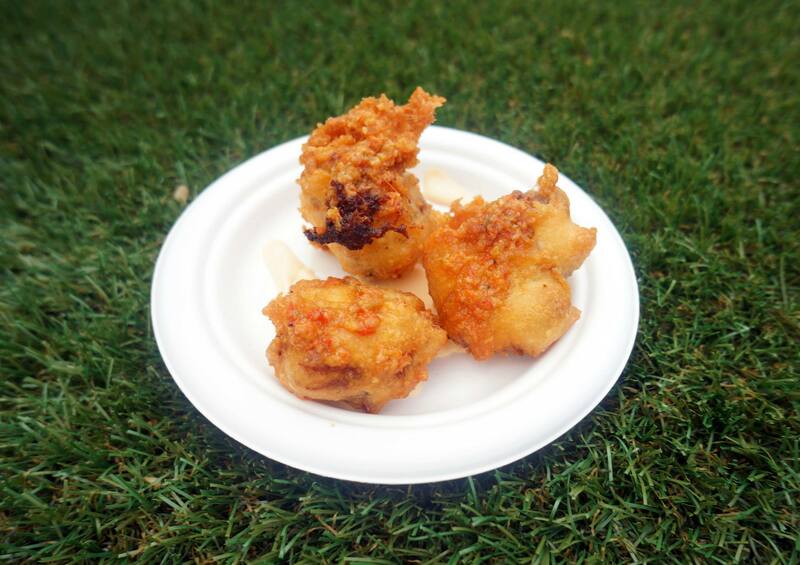 On another note – Porteno = so much win!